Almost too good to eat! How could you resist Kipper snuggling in his basket? 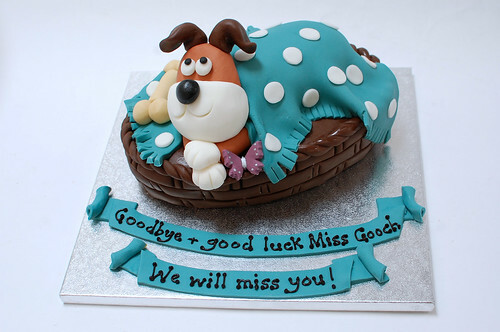 The Kipper the Dog Cake – from £75.